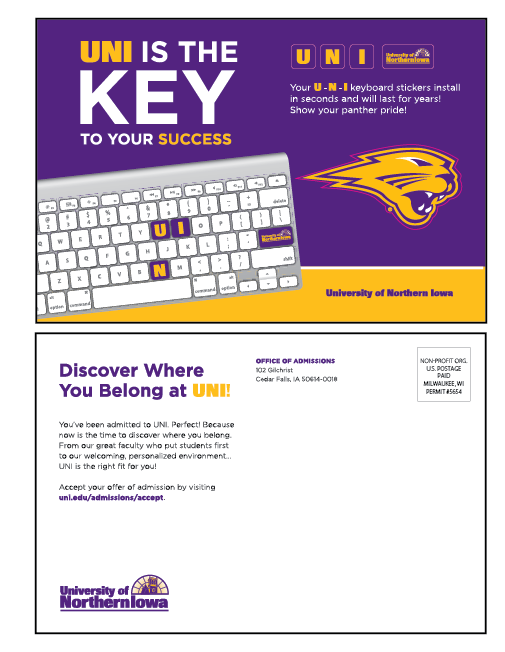 You’re already using direct mail to engage your alumni, but it’s not the only mail piece that they get in the mail every day. How do you make sure that your information is standing out and not getting lost in the shuffle? 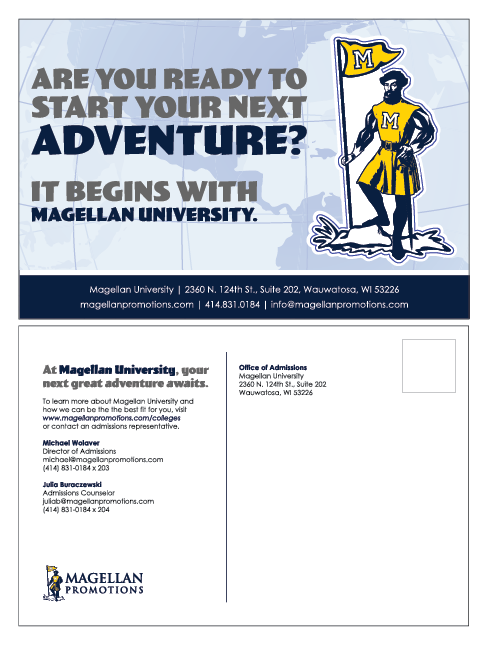 By using Magellan Promotions’ postcard sticker as an upgrade to your current direct mail pieces! A postcard sticker is more than just a direct mail piece. 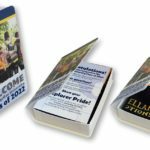 It’s a low, cost, memorable and interactive promotional product that is more engaging than typical mail pieces. What better way to engage your alumni? Plus, stickers are a big trend! From postcard stickers, to tech tattoos, keyboard stickers and more, we can’t stop talking about them. Include as many stickers as you want. Use your school’s crest, athletics logo, include keyboard stickers, and more! Make your background colorful – don’t have a white background, our your sticker will get lost on the card. The thicker the better when it comes to your stickers – don’t have small details cut out on their own. 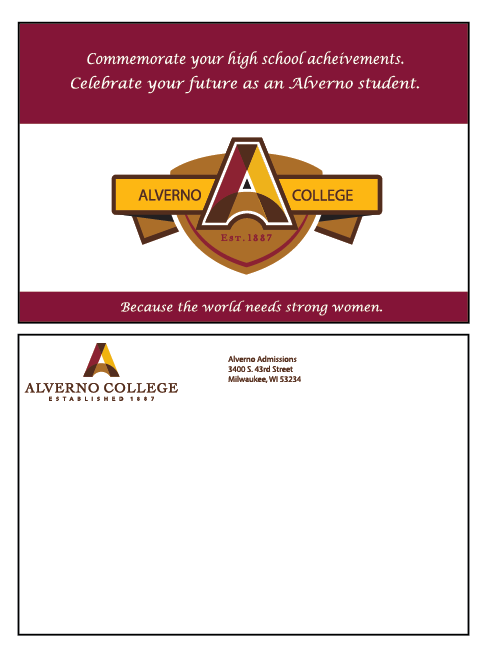 Check out the Magellan University example to see how we cut out around our flag. Want a few examples of what our clients have done in the past? Let us know! Die charges not included. Additional charges may apply. Are you ready to make your brand stick out?